With crossover season drawing closer than ever, this week’s episodes of Arrow and The Flash are particularly stocked up with developments that put more pressure on each hero’s personal lives and escalate their adventures tenfold. The Scarlet Speedster of Central City finally comes face to face with his new adversary in Zoom, while Green Arrow and his allies go on a rescue mission to save the revealed-t0-be-alive Ray Palmer/ Atom, who is literally “under the microscope” and in captivity courtesy of Damien Dahrk. 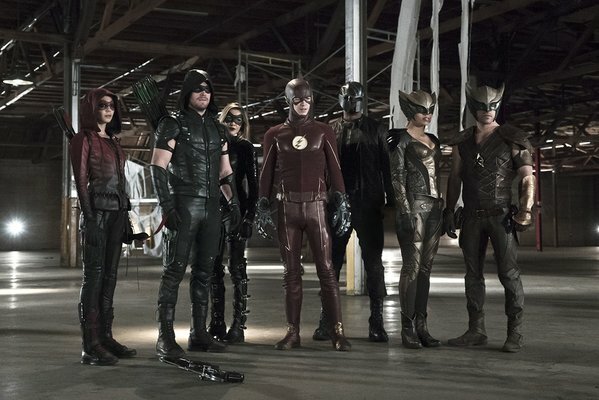 That being said, it’s recap time for those who haven’t caught up with the latest The CW “Arrowverse” has to offer this week, and SPOILERS will be around definitely to reveal what transpired in each show’s sixth episode in their respective new seasons. 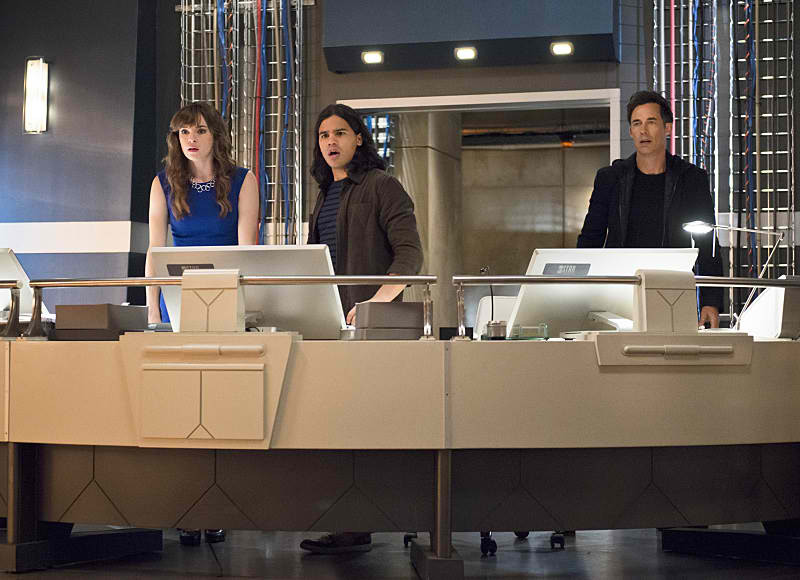 In what is truly a “turning point episode” in the new season of “The Flash”, Barry Allen and his allies concoct a desperate plan to finally confront the man from a parallel universe who’s been sending metahumans to test and confront The Flash until he is eliminated permanently – Zoom. This mysterious Dark Speedster from Earth Two has already succeeded in depowering Jay Garrick, and also happens to hold hostage Jesse Quick – the daughter of that world’s arrogant and ambitious version of Harrison Wells. 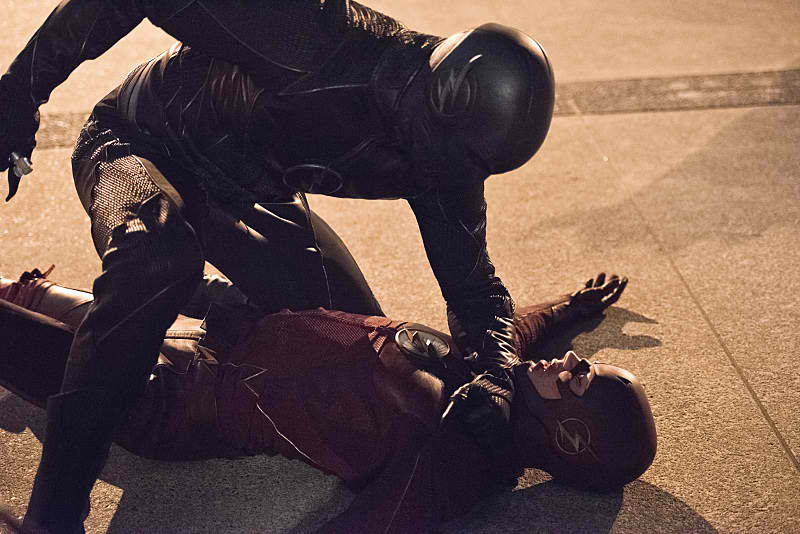 After defeating Doctor Light and interrogating her for a way to defeat Zoom, Barry hatches a plan with Team Flash to lure Zoom in by instigating a mock fight that sees the Scarlet Speedster defeated by Light. Unfortunately the Earth Two counterpart of Linda Park manages to escape, but actually leaves her suit behind in the process. After seeing that their world’s Linda is desperate to help out in her own way, Barry reveals his secret to her and manages to convince his ex-girlfriend to masquerade as Light instead. The plan goes into motion, with everyone including Harry Wells participating in the stakeout. Unfortunately Zoom doesn’t appear, and everyone is dismayed that the plan didn’t work at all. They later discover that the Dark Speedster was well aware of their intentions, and reveals himself to Linda Park – kidnapping her in front of Iris West in a bid to lure Flash out in the open. Meanwhile, Cisco discovers Harry’s predicment with his kidnapped daughter by “Vibing” him, later confirming to the latter that Zoom has her captive but she is alive and well. 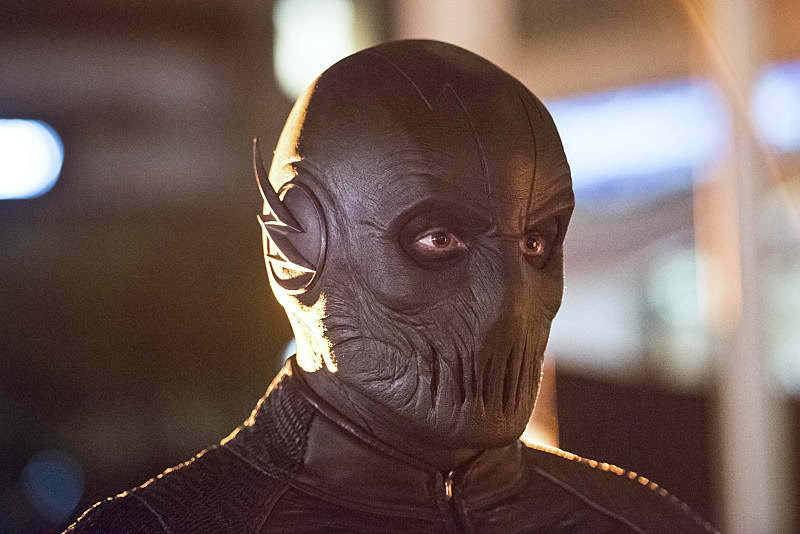 Seeing no other recourse but to confront his opponent, Barry suits up and faces Zoom. The battle proves to be one-sided, as he is summarily defeated by the Earth Two villain and shown in a defeated state to different locations in Central City. Zoom then stabs Flash and literally leaves him to his friends. When Barry wakes up, he discovers he can’t feel his legs. So this week ends in a cliffhanger of a predicament – The Flash can’t walk… How will Central City and the rest be safe from Zoom’s threat? 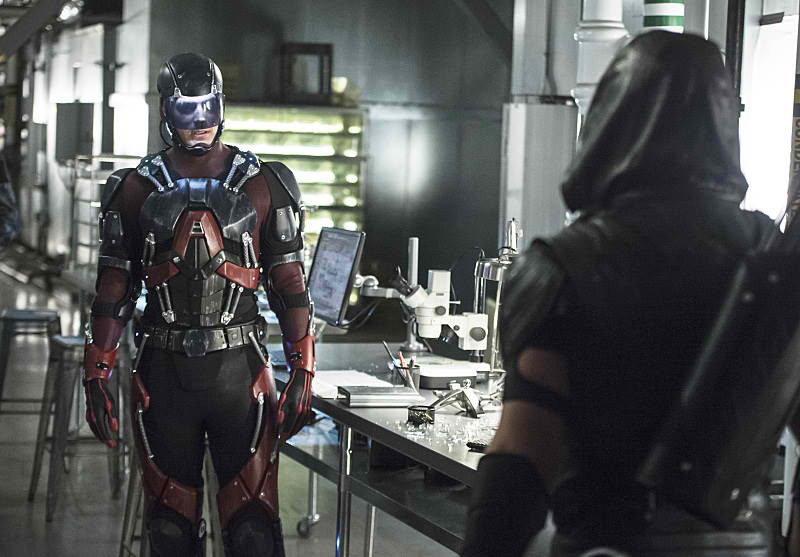 After last week’s hit of a guest appearance with the return of Matt Ryan as John Constantine (effectively incorporating the NBC show’s character into the Arrowverse), this week’s episode of Arrow sees the return of Brandon Routh as Ray Palmer/ The Atom – revealed to be alive after that “accident” that presumably caused his death. Ray was actually miniaturized, and later found by Damien Darhk and H.I.V.E. and placed in captivity. Thanks to a cryptic message he was able to send out to Felicity Smoak and Curtis Holt, Palmer successfully sends out an S.O.S, which Team Arrow intercepts and makes it a point to go on a rescue mission to save their missing ally. 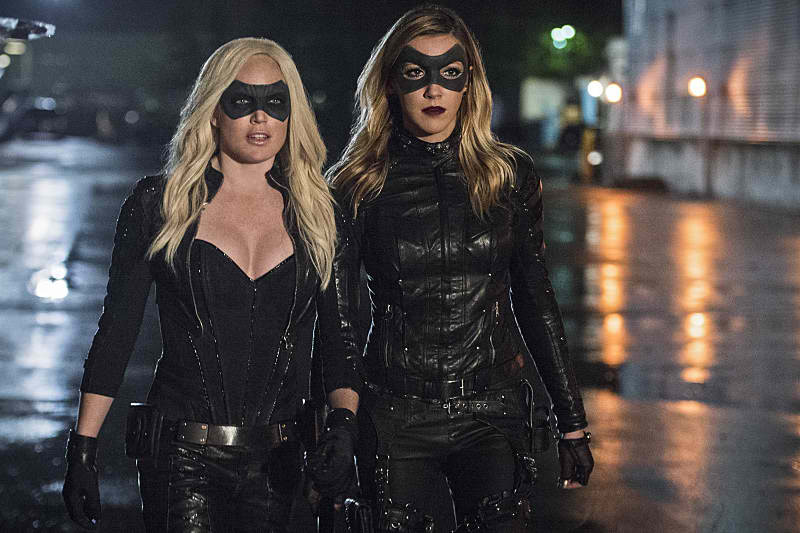 Meanwhile Sara Lance, now restored fully in body and soul, decides to join in on the action and reprise her heroic identity as The Canary. Unfortunately the same bloodlust that Thea suffers from after being exposed to the Lazarus Pit affects her as well, making her more of a liability than an asset. After the rescue mission goes well and Ray is saved, Sara realizes she needs to rediscover herself and find a way to control her rage, and makes the decision to leave Star City and go on a journey. After Ray is saved and Team Arrow comes across and narrowly escapes Dark and company, the heroes are more determined to put a stop to his actions once and for all. Meanwhile, Oliver and Felicity go through some relationship troubles because of the latter’s guilt over not saving Ray sooner. It takes the timely visit of Felicity’s mom Donna to put things back in perspective, and the romance is saved and rekindled. The episode acts also a precursor to “Legends of Tomorrow”, with Atom and the future White Canary now set to be a part of that team very soon. 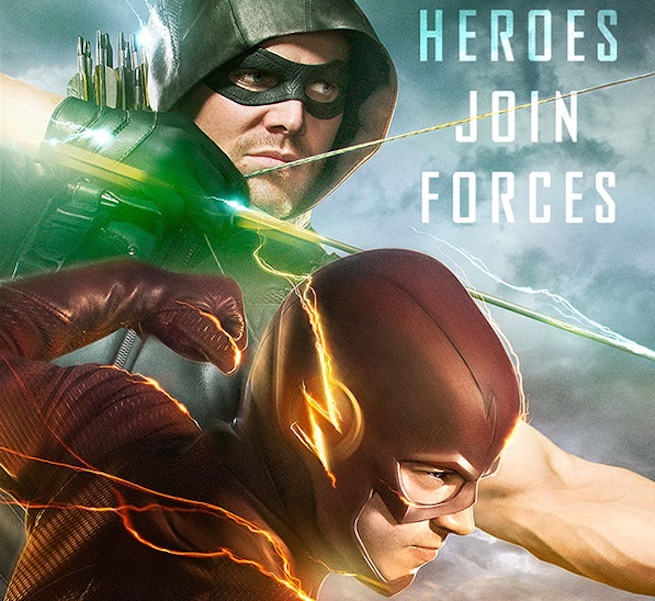 And there you have it – Flash and Arrow are speeding things along to what looks to be a promising Crossover adventure in preparation for the hiatus of a new spinoff show. We just have to wait and see what happens in the weeks ahead… As this teaser posted a few days ago of the gathered heroes shows! Next articleMARVEL FUTURE FIGHT will give you that Superhero Action you’ve been craving for right on your mobile! Check out the first Captain America: Civil War trailer and posters!